Home » Cambodia » Forsaken & Forgotten……. A forsaken Durga near Kumartuli……. And more subsumed stones from the magical lost temple of Beng Mealea. Click on the images (&/or links) to read the full stories. At least this Durga didn’t end up in the Ganges! The head is really interesting – makes me think of different aspects of abandonment… Beautiful choices, Madhu! I spotted the head before we went into the potters village so I found it very intriguing! Thanks Ese. I do hope it does Viveka. Shall keep you in my thoughts. Madhu, thanks for caring … had a rough day after the hospital yesterday, got a new medicine that I reacted very strongly on, but I have carry on for 3 weeks .. to see if it will help me. The doctor was just wonderful. I am so sorry Viveka. I hope the medicine shows effect. At least your suffering would not have been in vain. Hugs. Madhu, thanks for caring … the new medicine make me feel a bit funny that I have to adapt too … but it feels like it works and nobody will be more happy than me if it does. Just had enough of pain and discomfort. Wonderful photos for the challenge; that second photo emphasizes the theme for the challenge. Thank you Angeline. The head seems to be the more popular of the two, but I can still feel the desolation in that lost temple. It was an unforgettable experience. Gilly always is 😀 I don’t have a header anymore Jo, this is a background image that remains constant across all my posts. I sometimes miss choosing an appropriate header, but this is a lot less work 🙂 Thanks Jo. One always hopes that abandoned treasures will be picked up and loved by others. Madhu, that top one is great! forsaken and forgotten is the perfect title for this. i especially liked the upside down head. The first image drew me into its possibilities. It’s mysterious and telling all at once. I found it intriguing too. Thanks Sally. Perfect entry. The poor head looks like it is crying out for help. I agree…that’s kind of a “Get me outa here” expression! 😀 Thanks Lynne. Excellent choices for the challenge, Madhu. Love the first image. Thanks. I loved yours Uday! I always felt sad to see relics of the past allowed to slowly waste away. These are cultural treasures people of the past put their heart and soul into producing and we the current generation have responsibility for their preservation. I agree Ian. But most of the temples, including Machu Picchu in Peru were abandoned during the lifetime of the builders. They have all been wrested back from jungles by present generations. So that is cause for hope. Great to see this post on Kumartuli. This is such an intrinsic Bengali place that it does come as a bit of a shock to see it getting featured by travellers. But I suppose that is what Globalisation is doing to the overall awareness. On a slight tangent, have you read Amitav Ghosh’s The Calcutta Chromosome? Some of the action in this Sci Fi story is in Kumartuli……. I haven’t yet Shakthi. Shall get hold of a copy immediately. Thanks for stopping by. Reblogged this on Women Are Cats. Thank you for the reblog Cathy. Thanks Sylvia. The temple was supposed to have been second only to Angkor Wat. Great post, Madhu…Beng Mealea looks right up my street…I must see if I can get there from Siem Reap. 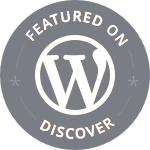 Missed your post because WordPress has been mucking me about lately, and I’ve had re follow you and others…. Have just been through a round of re-follows myself Sue!! Hope you get to Beng Mealea somehow. It is a magical place. When do you go to Siem Reap? Well, I hope to go towards the end of the year…. This is a very good interpretation of the theme, Madhu! A great response, Madhu. I have missed seeing your posts.